WASHINGTON (Reuters) - A team of former U.S. government intelligence operatives working for the United Arab Emirates hacked into the iPhones of activists, diplomats and rival foreign leaders with the help of a sophisticated spying tool called Karma, in a campaign that shows how potent cyber-weapons are proliferating beyond the world’s superpowers and into the hands of smaller nations. It isn’t clear whether the Karma hack remains in use. The former operatives said that by the end of 2017, security updates to Apple Inc's iPhone software had made Karma far less effective. The disclosure of Karma and the Raven unit comes amid an escalating cyber arms race, with rivals such as Qatar, Saudi Arabia and the UAE competing for the most sophisticated hacking tools and personnel. Tools like Karma, which can exploit hundreds of iPhones simultaneously, capturing their location data, photos and messages, are particularly sought-after, veterans of cyberwarfare say. Only about 10 nations, such as Russia, China and the United States and its closest allies, are thought to be capable of developing such weapons, said Michael Daniel, a former White House cyber security czar under President Obama. Karma and similar tools make personal devices like iPhones the “juiciest of targets,” said Patrick Wardle, a former National Security Agency researcher and Apple security expert. A spokeswoman for UAE’s Ministry of Foreign Affairs declined to comment. Apple Inc declined to comment. The former Raven insiders said Karma allowed the operatives to gather evidence on scores of targets — from activists critical of the government to regional rivals, including Qatar, and the UAE’s ideological opponent, the Islamic political Muslim Brotherhood movement. It also granted them access to compromising and at times sexually explicit photos of targets. The material was described to Reuters in detail but reporters didn’t inspect it. Reuters saw no evidence that the UAE leaked damaging materials discovered through Karma. Raven was largely staffed by U.S. intelligence community veterans, who were paid through an Emirati cyber security firm named DarkMatter, according to documents reviewed by Reuters. The company did not respond to numerous emails and phone calls requesting comment. The NSA declined to comment on Project Raven. The UAE government purchased Karma from a vendor outside the country, the operatives said. Reuters could not determine the tool’s creator. The operatives knew how to use Karma, feeding it new targets daily, in a system requiring almost no input after an operative set its target. But the users did not fully understand the technical details of how the tool managed to exploit Apple vulnerabilities. People familiar with the art of cyber espionage said this isn’t unusual in a major signals intelligence agency, where operators are kept in the dark about most of what the engineers know of a weapon’s inner workings. Three former operatives said they understood Karma to rely, at least in part, on a flaw in Apple’s messaging system, iMessage. They said the flaw allowed for the implantation of malware on the phone through iMessage, even if the phone’s owner didn’t use the iMessage program, enabling the hackers to establish a connection with the device. To initiate the compromise, Karma needed only to send the target a text message — the hack then required no action on the part of the recipient. The operatives could not determine how the vulnerability worked. A person with direct knowledge of the deal confirmed Karma’s sale to the Emiratis from an outside vendor, details of its capabilities and its reliance on an iMessage vulnerability. The Raven team successfully hacked into the accounts of hundreds of prominent Middle East political figures and activists across the region and, in some cases, Europe, according to former Raven operatives and program documents. In 2017, for instance, the operatives used Karma to hack an iPhone used by Qatar’s Emir Sheikh Tamim bin Hamad al-Thani, as well as the devices of Turkey’s former Deputy Prime Minister Mehmet Şimşek, and Oman’s head of foreign affairs, Yusuf bin Alawi bin Abdullah. It isn’t clear what material was taken from their devices. Şimşek, who stepped down from his position in July, told Reuters the cyber intrusion on his phone was “appalling and very disturbing.” The Washington embassies of Qatar, Oman and Turkey did not respond to multiple emails and calls requesting comment about the targeting of political figures in their countries. Raven also hacked Tawakkol Karman, a human rights activist known as the Iron Woman of Yemen. 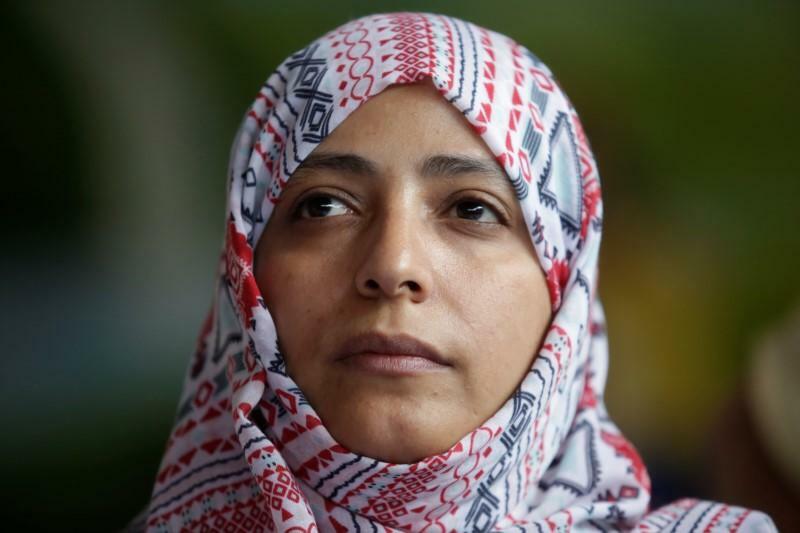 Informed by Reuters she had been targeted, she said she believes she was chosen because of her leadership in Yemen’s Arab Spring protests, which erupted around the region in 2011 and led to the ousting of Egyptian President Hosni Mubarak. For years she had received repeated notifications from social media accounts, warning that she had been hacked, she told Reuters. But the fact that Americans helped the Emirati government monitor her was shocking, she said.